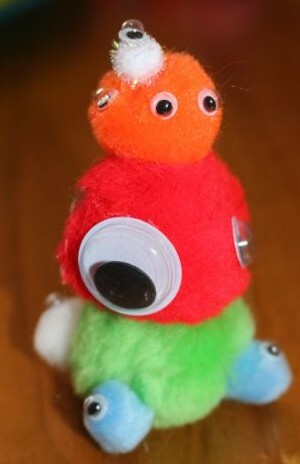 I put out a tray of pom poms, a tub of googly eyes and some glue, and let the kids’ imaginations go wild making monsters. I thought these were arms, but A told me they are monster ears. L made a very elaborate monster using lots of pom poms. She did all the gluing and construction herself, while A needed some help with the glue. 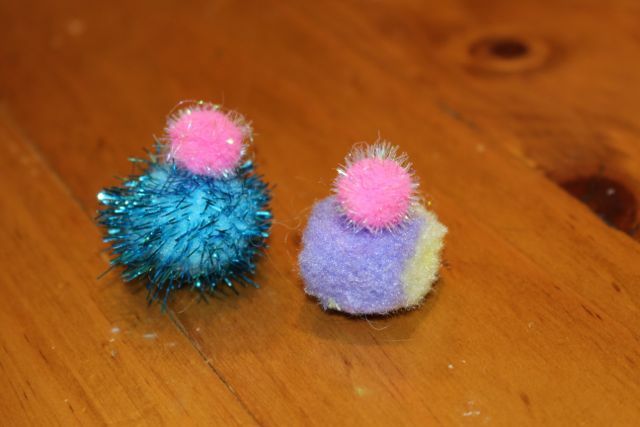 L managed to stick one of the pom poms to her finger, and another to the table though, so perhaps she also would have benefited from some help with the glue! 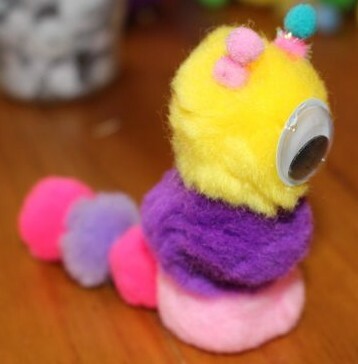 When L had finished her monster, I asked about her monster’s head. 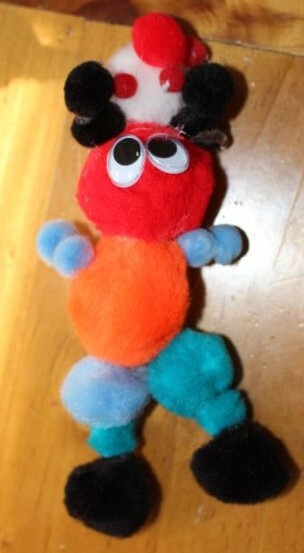 I though the white pom pom with small red pompoms between its black horns, was its brain outside its body. I couldn’t have been more wrong, it is actually a nurse’s hat, as her monster is a monster nurse. A’s first monster had two big fat legs, a head, and big ears. She gave it one big eye on the middle of its head. Her second monster also had only one big eye, so to make up for this, her third monster was covered in eyes. 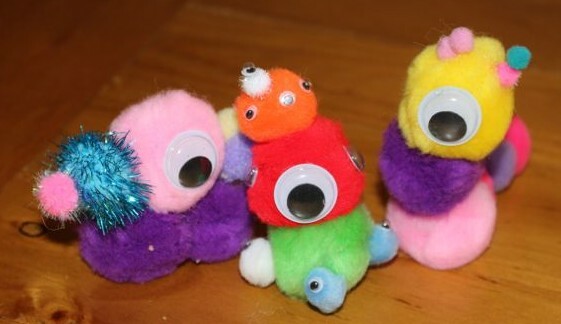 It even has an eye on each of its four legs, and eyes able to look in every directions around its body. A named this last monster ’20 Eyes’. 20 Eyes the monster. There are more eyes on the other side too.